Lunchbox ideas for back to school | The New Mummy Company Inc.
Join us for tips on packing nutritious and delicious lunches for kids that isn’t always a boring sandwich! 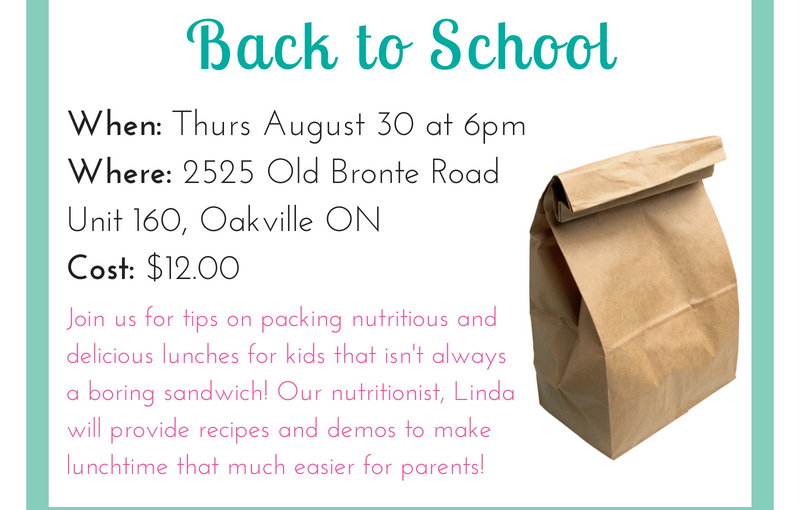 Our nutritionist, Linda will provide recipes and demos that will help you plan to pack healthy lunches for school. With back to school around the corner and the dreaded school lunches needing to be made once again, we have the solution for you! We have lots of ideas and suggestions for you on what you can feed your child at lunch that will be healthy, tasty and school approved but most importantly kid approved! Join us here at our new location to chat with Linda, our nutritionist who will be giving you lots of ideas and tasters at this one off session before the kids go back to school. Babies are welcome! But we ask you to make alternative care arrangements for toddlers.